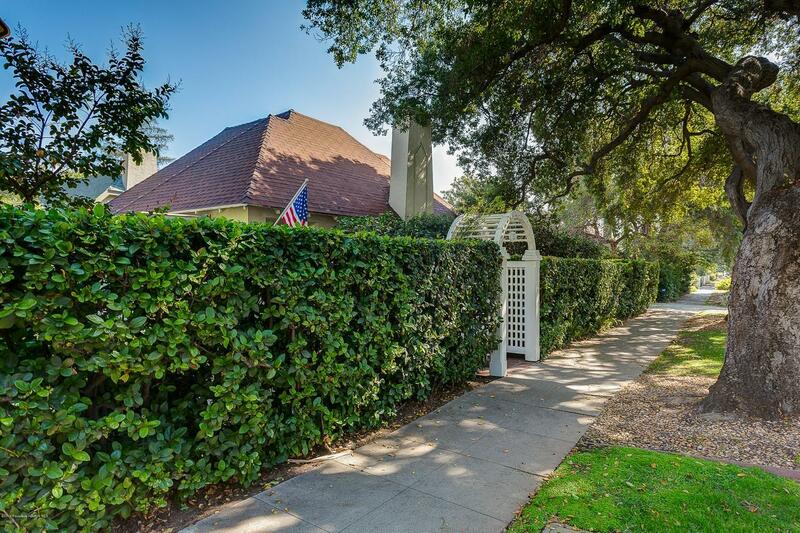 Oak Knoll Gardens is a picturesque neighborhood of 23 cottages built on a circular street off South El Molino just off California Blvd, in popular Madison Heights. This was widely advertised in local newspapers in 1922 by developer, the B.O. Kendall Company. Buyers were attracted to the moderately priced and elaborately appointed small residences that, despite their proximity to each other, maximized spaciousness, comfort and privacy. 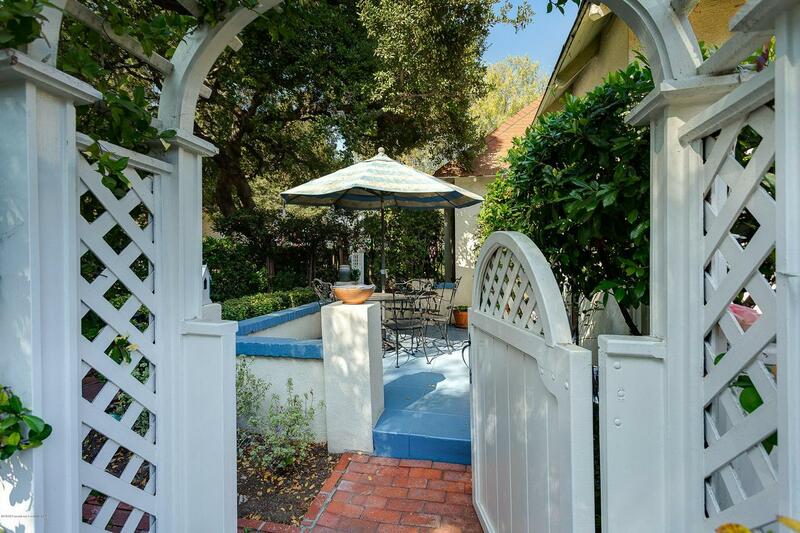 11 Oak Knoll Gardens is a romantic, English style cottage boasting many upgrades. This home has no hallways, just several rooms under one roof. This home has been in several publications: House Beautiful Oct 2001, Romantic Homes Oct 2004, and Cottages and Bungalows Oct/Nov 2009. Location is the Best! Walk to Lake Ave. shops, grocery stores, restaurants, coffee houses, and much more. This sentimental cottage offers several patios, award-winning garden design, outdoor dining, and is full of natural light. The basement is roughly the size of the dining rm., a lrg attic for addtl storage, and a 1-car garage for more storage, a sm car, or convert to living space. Hope you have a chance to view this one-of-a-kind! 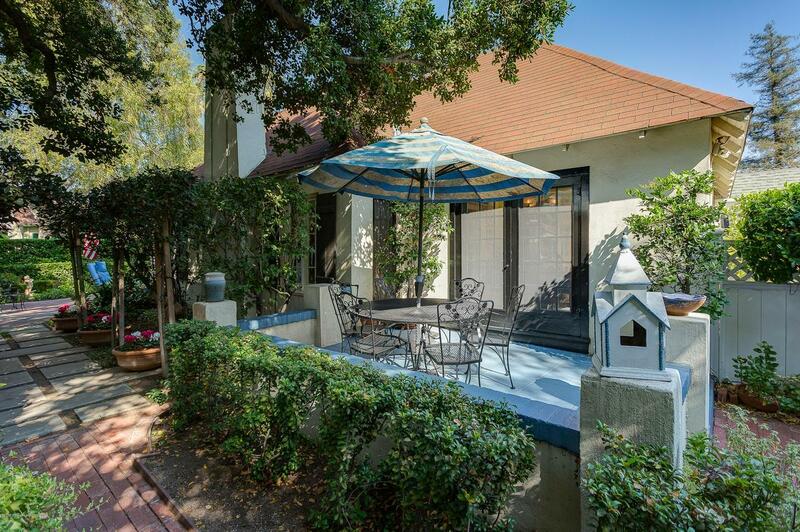 Sold by Charles Livingstone BRE#01203399 of Coldwell Banker Residential Brokerage Company. Exclusions Dining Room Chandelier Plants/Pots Garden Fountain. Inclusions Washer/Dryer Stackable Refrierator Free- Standing Stove/Range And Dishwasher. 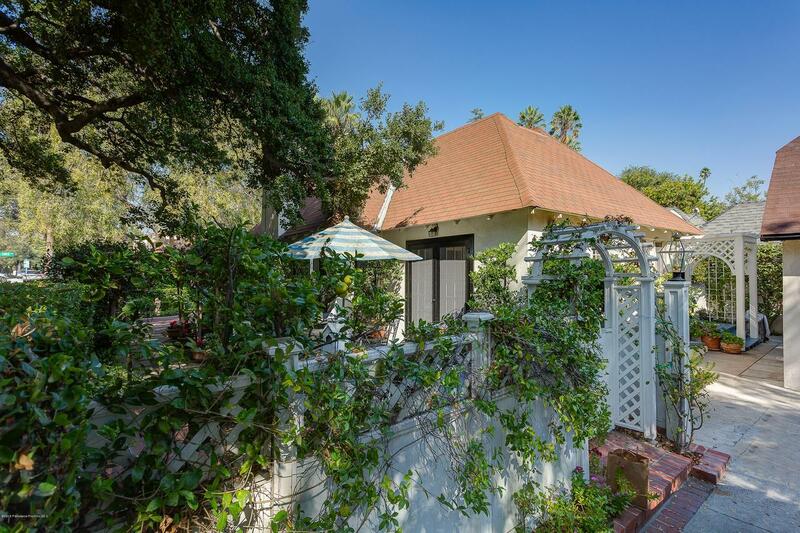 Listing provided courtesy of Charles Livingstone DRE#01203399 of Coldwell Banker Residential Brokerage Company.